The average American lives to be 78.7 years old. So, you better make a bucket list…before you kick the bucket. As we’ve only got so much time on earth to explore all it has to offer. Whether you’re an adventure seeker or a quiet nature enthusiast, the world awaits. So what should be next on the list for your travel plans? Take a look at the top 10 coolest and most memorable places to see before you die. This is one of those places to visit before you die that offers beauty and adventure. Galapagos makes up a group of 19 stunning islands that sit off the Pacific Ocean in Ecuador. They got created by a volcano and provide a unique environment with special flora and fauna. Explore it all by boat, hopping from island to island with a licensed tour guide. Enjoy scuba diving, snorkeling, and hiking among the volcanoes. Get up close to wildlife like penguins, iguanas, massive turtles, and sea lions. You can stay right on one of the islands in a hotel or sleep on a boat or catamaran. Others choose to book a cruise, which can hold 20 to 100 passengers. For many wander-lusters, the Seven Wonders of the World include places to go before you die. This famous landmark is on the Yumama River in India, not far from Delhi. It is a mausoleum built by a past emperor as the beautiful burial place for his late wife. It took his workers 16 years to create this piece of amazing architecture. It’s best seen during sunrise or sunset, yet they offer day and night tours. Go early to beat all the tourists and avoid waiting in long lines. These breathtaking ruins live in Peru, in the Andes mountains. It’s one of the best places to see for stunning views and ancient civilization. You can hike to the site or travel by bus or train. You can either access it by yourself or with the help of a guide. Yet, you will need to buy a ticket to enter the site. Buy these in advance as the daily number of people that can visit gets limited. Note that Machu Picchu is over 7,970 high. So, your body may take a bit of time to adjust to the changes in altitude. 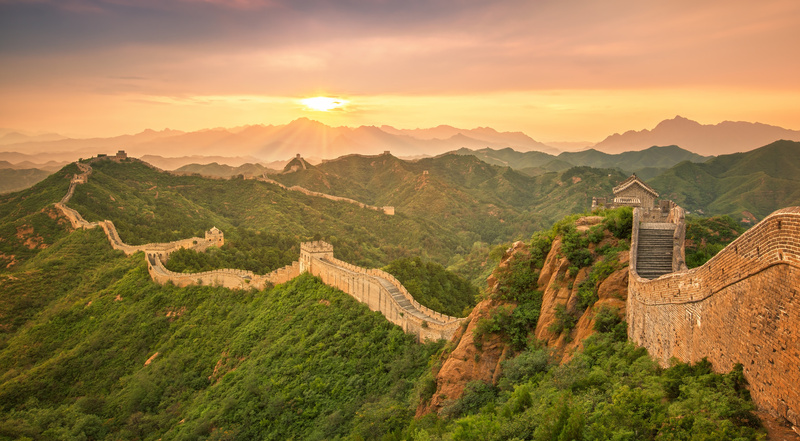 The Great Wall in Beijing, China is over 4,000 miles long. This makes it the longest structure made by men. It should be on anyone’s list of places for soaking up ancient history. As the wall got built to help keep the Mongols from invading the Chinese empire. Visit in the spring or fall months for the best weather and to avoid clusters of tourists. You can explore by bus or with a private guided tour. The wall offers different areas to visit depending on your age and physical needs. Simatai is for standard level hikers. Mutianyu is more for children and elderly travelers. You can also camp overnight at certain sections of the wall. This is a great way to save on travel costs and beat the crowds. But be sure to first read up on the differences between luxury travel and backpacking. This is the tallest mountain in Africa, located in Tanzania. Mount Kilimanjaro is one of the places you must visit for spectacular views. It’s 19,340 ft tall with snow-tipped mountains, desert terrain, and rainforests. You may even want to train for this one beforehand. Expect steep trails in certain parts of your trek. But seniors do it…so, you can too. Be sure to pack for hot temperatures during the day that can freeze back over at night. Take the hike slow and steady to avoid becoming sick from the change in altitude. This park spreads over 3,500 square miles between Wyoming, Idaho, and Montana. Yellowstone sits on an active volcano with a 30-mile long width. It’s a natural wonder, with forests, rivers, hot springs, and canyons. The park also offers many areas that are the perfect place for a camping trip. Be sure to visit Old Faithful. This famous geyser goes off about every 90 minutes. The Amazon is home to exotic animals, unique culture, and a diverse jungle environment. Be sure to pack light, dress comfortable, and bring bug spray. Most of the rainforest gets located in Brazil, but certain parts are also in Ecuador. This makes it a smart idea to detour to the Amazon after your trip to The Galapagos. It’s one of those places to see before you die that’s also home to piranhas, so travel safety tips are a must. Prep for this by getting your yellow fever vaccination and learn more about non-dangerous wildlife, like the pink dolphin. Also known as the Northern Lights, it’s the most spectacular natural light show in the sky. The Aurora Borealis gets seen from countries like Finland, Alaska, Scandinavia, and Canada. Make your trip even more memorable by staying in an igloo hotel room or a log cabin. The lights don’t show up every night of the year so plan your travel dates around this. They also have different showing times depending on which country you visit from. Head to Japan if you’re looking for a tranquil trip with landscaping techniques. The most favorable temples in Kyoto’s Zen Gardens are Ryoan-ji, Tofuku-ji, and Konchi-in. Walk among unique plants, ponds, and white-sand rock gardens. There are also Japanese tea houses and little islands covered in moss. Head to the western side of Ireland’s coastline for the Cliffs of Moher. Here can explore the edge of a 702-foot high cliff overlooking the sea. It offers breathtaking views, but with a steep drop. So, be on the look for hazard signs that warn tourists of high winds. This means the edge of the cliff is not the safest place to hang out. Plan to go on a good weather day, where the rain or fog won’t obstruct your views. Yet, it’s still a beautiful sight while wearing a raincoat and galoshes. It’s easy to get there by vehicle from County Clare. Here are a few tips on renting a car abroad. Want to grow your list of places to see before you die? Then it’s smart to be a budget-friendly traveler. Save money on trips by booking less popular travel dates. You can also combine trips to spend less on airfare. Airbnb can offer cheaper options when you stay outside of city centers. Here are more ideas for traveling on a budget so you can have way more than one trip of a lifetime.